Sometimes when an educator asks an open-ended question, they may find themselves staring into a sea of blank faces of disengaged students. It is important to keep students engaged, as it increases their understanding and encourages them to make connections with the content. Below are different discussion methods an educator can use to increase participation and promote student feedback. This idea starts the brainstorming process for students by encouraging each student to write down basic ideas without elaborating on it. The educator poses a general question or problem (anything that could provoke multiple responses) for the students to consider. Then, the students will write any thought that comes to their mind on post-it notes, only one idea per note, to keep it simple and clear. After the students write out their thoughts, they will place the notes on a large board next to the other students’ notes. Finally, the students will work together to group similar ideas into one section and discuss why they feel they belong together and what each idea means to the general overview. This discussion method encourages collaboration in discussion, without the educator having to lead the conversation. Everyone has heard the saying, “There is no such thing as a dumb question”. However, there are students who are still reluctant to ask a question, out of fear of being ridiculed for not knowing the answer. To determine topics students need more help on, educators can play this game. The teacher can select a particular topic or chapter to review and the students are told to try and ask more difficult questions to try and “stump the teacher”. The students ask questions they think are difficult, which are hopefully going to be questions they don’t know the answers to. If the student is able to stump the teacher, the student can be given an extra credit point, or a piece of candy, or anything the teacher may see fit, to stimulate participation. This discussion method increases students’ comfort levels for those who may be struggling with a particular subject and raises student awareness of other questions and answers the student may not have thought of. It also promotes team-mentality of trying to “stump the teacher”. This technique involves a student picking a character from the current reading selection or a historical figure to portray. The student will stand in front of the class to answer questions from his/her classmates as the selected character. The selected student may not break character and must answer the questions as the character would. The other students must try and figure out who the student is representing. To increase the challenge for older students, teachers may choose to put a time limit on how long other students have to guess the character. 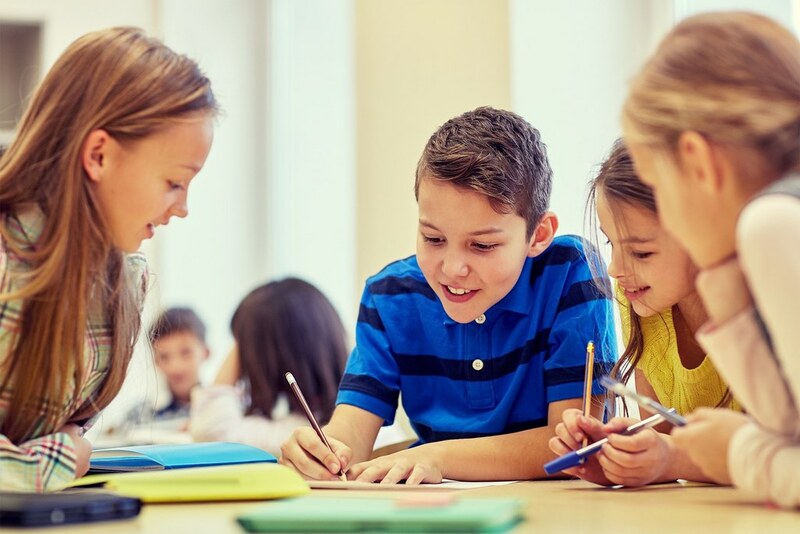 Because the students are able to place themselves in the character’s mindset, the students are able to draw connections that they may have missed initially. This allows students to develop a deeper understanding of a theme, event, or person. Digital discussions work well for schools that implement one-on-one technology. Digital discussions also encourage quiet students who are more hesitant to speak up in class to have a voice. Universities currently use this platform for online classes, so students do not miss out on the group discussions that an in-person class would have. Students can find an article that relates to the current subject and write a blog post about it. Then, students are able to read each blog and respond to those that they found interesting or wished to challenge. Online discussions promote positive communication between students who may not otherwise have the courage to do so in person. Students are able to read and evaluate information in order to provide constructive and respectful feedback. Classroom discussion provides many positive benefits, from social interaction to knowledge retention. Feel free to share some of your favorite techniques with us!